Underground Societe recently rebranded and invited a bunch of us to experience the new speakeasy concept at their restaurant. Didn't think much of it at first sight but this dish was the epitome of a beautiful mess. Cold fish slices with a tangy & refreshing marinate to go. I'm usually not a fan of greens & super healthy meals but this carb-free starter that was surprisingly delicious. Not a fan of kimchi but the combination was a good choice. A berry cocktail between our dinner. By far my favorite dish! Their steak was so perfectly cooked and juicy on its' own. No dipping sauce needed to actually savor the taste of the meat. Redza & I were literally having a foodgasm after our first few bites. 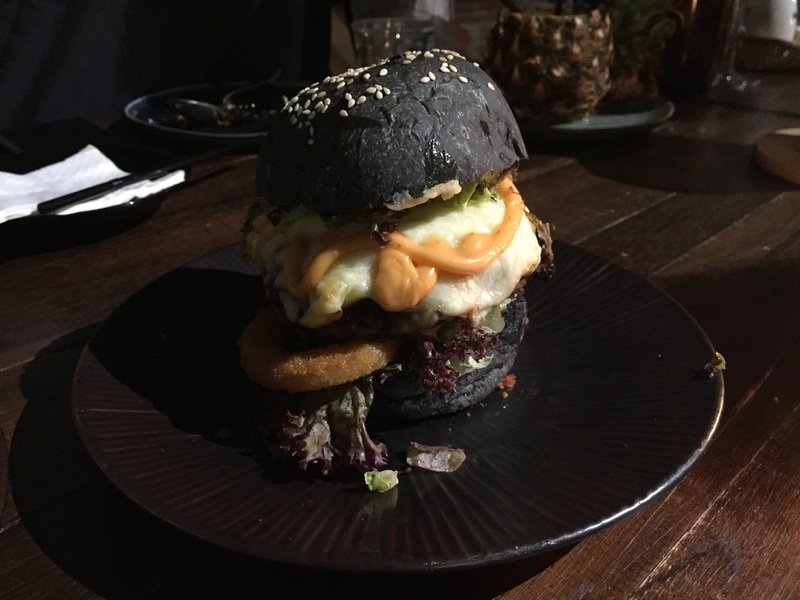 Charcoal buns packed with a whole load of savoury goodness. Pesto spaghetti was a bit tasteless but the baby lobsters (I assume) were pretty fresh. If you're a fan of pairing your dessert with alchohol, these are definitely desserts you should try. The presentation is amazing as well! #InstagramWorthy! Met the founders of the Societe chain as well. Thank you for dinner Underground Societe & SevenVault! Had a lovely dinner and met a bunch of nice people as well.